Having a wonderful partner in life. Declaration of my love to my loving partner. “There is a right one for you out there, somewhere.” say many people and they also say, “Just be patient. Live you life. Then everything will come along.” I was the one skeptical about this. How do they know that there’s a right one for me? Just like the people who have a great partner in life, there still are a fair share of population that couldn’t find the one till the end. How can I be sure if I am one of those finding the right one? I still don’t believe that everybody can find the right one in life. As a person, studying economics, I should say, it’s due to market failures, due to inequality in information of possible relationship matches. And I think that it’s impossible to fix this problem. One of main problem, makes it impossible, is that one doesn’t know perfectly about one’s own preferences or even oneself. We, human beings, are so complex and from every day learning we change all the time. So even if we can understand ourselves perfectly at any given moment, we will change soon and we cannot keep on track of that all the time. Therefore we will never know what is best for us in terms of relationships until it happens to us. When it happens, I think it is a miracle and such a nourishing experience. I finally found the one in my life, letting me say with confidence that I found the one, my Mr. Right. I have met many people, most of them were not in any serious relationships though. Still I struggled so much that I became skeptical about relationships and having a good family in modern days, where people are being so calculating and materialistic. I wasn’t the most beautiful or feminine or rich girl and many failures in budding relationships were good enough to let me down in the dating markets. But I kept on trying to put myself out there to meet someone, because I still had a little hope that it’s only due to market failures why I couldn’t find the right one. Now that I am soon turning to 35 in a month, it has been 15 years of searching for someone. There were years that I stopped actively looking, but there were also many countless moments that I felt very lonely for not having a boyfriend. I didn’t know what I was looking for from a partner, and even worse was that I completely misunderstood what I liked. I thought I was looking for the so called manly quality that one can easily detect even from a glance. But I have been looking for someone who understands me, even the complicated side of me, and who loves me the way I am, which I don’t love sometimes myself. The one should understand the tomboy side of me and elegant side of me, not being confused by extreme spectrum of my characteristics. I have been looking for someone who lets me learn from him not by pushing but by showing his way of life. It is someone that I can intellectually challenge myself, by having many discussions about different topics in-depth. The one has to have those qualities that I could admire but not to brag about those. And the person should be my mental safety net, that I could be sure that the person would love me still, even if I fail for everything, so that I could start over again on a fresh ground. And the one has to be fun to be around and that I can giggle without being conscious about how weirdly I giggle. The one will be someone can laugh for a small thing, and can share small moments to smile upon. The one remembers small remarks and drop a note reminding those, which incredibly makes me happy. And many more. How demanding and picky I am! I didn’t know that I could find someone like that, because I haven’t experienced that before. It’s a miracle. He makes me happy and makes complicated things so simple. I have never loved anyone before, because even when I said I loved someone, I was never sure what love was about. But now I know. I am so happy and I love him so much. This is a pure declaration of love to Jens. How lucky I am to have you in my life. You are the source of the power to let me keep this journey to a new life, away from my home town, my family and friends. Thank you for being a wonderful partner in my life. I love you, Jens. 나와 내 남자친구(뭔가 아이들이 쓰는 말 같긴 하지만, 약혼자라는 말은 입에 영원히 붙지 않을 거 같다. 애인이라는 말도… 사실 연인은 친구의 기능도 매우 충실히 해야 하며, 나는 이성애자인 관계로 성별은 남자여야 하니, 남자친구란 말이 틀린 것도 없고. )는 남들이 보면 심심할 데이트를 한다. 동네 한바퀴나 코펜하겐 시내를 산책하거나, 근처 공원에 가서 각자 딴 일을 하기도 하고, 좋아하는 커피숍(맨날 가는데만 가는 사람들…)에 가서 신문을 읽고 공부를 하면서 쉴 때 대화를 한다. 아마 같이 살기 때문에 그런 것일 수도 있지만, 살림을 합치기 전에도 비슷한 생활 패턴이었는데. 주로 집에서 하는 데이트를 즐기게 된다. 영화를 보고, 와인을 마시고 뭘 해도 주로 집에서. 그렇지만 주로 집에서 데이트를 하거나, 산책을 하는 것 등은 덴마크에서 흔히 볼 수 있는 데이트 방식이다. 그러니 덴마크적 특성이라고 봐도 좋겠다. 많은 연애를 해봤지만(주로 짧은 데이트에 그치고 말았지만…) 대부분이 한국에서 있었던 일인지라, 두나라의 다른 데이트방식에 대해 비교를 하게 되는데, 뭐가 좋고 나쁘고를 따지긴 힘들고, 나에게 어떤게 잘 맞는지를 비교하는 것이다. 한국에서 데이트하면, 뭔가 코스가 필요했다. 누가 시킨 것은 아닌데, 남자친구는 항상 좋은 코스를 찾으려고 노력했고, 그 코스를 밟아가면서 즐기는 것은 나의 몫이었다. 어떤 면에선 참 까다로운 나이지만, 우선 사귀기 시작한 남자친구에게는 크게 까다롭게 굴지 않는 나였기에 그 준비된 코스가 마음에 안들어서 싸우거나 그런 건 없었다. 착해서는 절대 아니고, 뭐가 되었든 마음에 안들어하면 손해보는 게 나라서 그런 실용주의적 마음에서 그런 것이었다. 형식적인 것을 배격하는 덴마크인의 실용주의는 사회 전반에서 발견된다. 이제 2년 가까이 살고 나니 그런 모습을 여기저기서 많이 느끼게 된다. 밖에 나가서 먹으면 돈이 많이 든다. 물론 어떤 데이트코스를 찾느냐에 따라서 달라지겠지만 조금 우아하게 먹고 마시자고 밖으로 나가면 억수로 돈이 깨진다. 예를 들어 일주년 기념으로 옌스가 좋은 레스토랑을 예약했다. 여기 기준으로 분류하자면, 제일 비싼 미슐랭 스타급 고급 레스토랑 바로 아래급 레스토랑을 갔다. 5코스 식사 2인에 가장 낮은 가격대의 와인 한병, 식전 샴페인 가장 저렴한 것으로 한잔씩 해서 먹고 나니 60만원이 나왔다. 입이 떡 벌어질 가격이다. 이런 밖에서의 식사를 가능케 하는 것은, 한국에서 여러번에 나눠할 외식을 정말 일년에 손에 꼽을 정도로 몇번 안하기 때문에 가능하다. 주변에 커플들을 보아도, 외식은 잘 안한다. 사실 덴마크에서 외식 엄청하고 살면, 아주 부자가 아닌 한 파산하기 마련이다. 막대한 세금으로, 한달의 가처분 소득은 한국과 크게 다르지 않은데 비해 물가가 2~3배 비싸기 때문이다. 그러니 평소엔 다들 영화도 집에서 주로 보고, 와인도 집에서 마시고, 식사도 집에서 하면서 데이트 하는 것이다. 그리고 한국보다는 남의 시선에서 자유롭다. 한국에 비춰진 것처럼 직업에 귀천도 없고, 남 시선 하나도 신경 안쓰고 그런 건 전혀 아니다. 비싼 물건들이 아니라서 그렇지, 여기도 3초백이라고 할 수 있을 만큼 자주 보이는 백팩(스웨덴산 Fjallraven, 한국에서도 엄청 메는 듯? )이 있고, 여자들이 많이 들고 다니는 DAY Birger et Mikkelsen 쇼퍼백이 있으며, ‘덴마크인처럼 보이는 법’이라고 덴마크인의 유행 사랑을 비꼰 글들도 있다. 그렇지만, 자기가 뭔가를 함에 있어서 어거지로 남들눈에 좋아보이는 일이라고 좋아하지도 않는 일을 굳이 하지는 않는다. 경험의 측면에서는 내가 좋아하는 일을 하는 것을 중시한다. 여자에게는 남자친구가 데이트코스를 짜줘야만 하고, 좋은 곳에서 밥을 먹어야 하며, 남들 보기 화려한 것을 해야하고, 남자가 가방을 들어줘야 하고, 뻑적지근한 선물을 받아야 하고, 데이트 비용은 주로 남자가 내줘야 한다면, 덴마크의 데이트라이프는 참 고달퍼진다. 남자가 대충 맛있는 사 먹이고, 처음에만 바짝 잘해주고 그다음엔 대충 편한대로 하고, 집안일 잘 못하고, 돈으로 떼우려고 하면 또 참 고달퍼진다. 덴마크에서 연애란 인간대 인간이 만나서 하는 것이다. 덴마크는 뭔가 엄청 가족파괴현상이 일어나고 결혼도 기피하는 그런 사회처럼 비춰지고 있지만, 곪는 관계를 속 썩여가면서 두지 않으려고 하고, 제도적인 것에서 상대적으로 자유로운 사회 분위기에 따라 나라 밖에서 보기에 그리 보여지는 것 뿐이다. 가족과 보는 횟수는 더 적어도, 더 자주 연락하고 따뜻한 관계를 유지하는 사람이 많고, 가족간에 챙기는 마음이 한국과 다름 없거나 더하기도 하다. 부양이라는 문제가 가슴을 짖누르는 경우가 한국보다 적기 때문일 수도 있다. 최소한의 복지가 삶을 유지하는 데는 도움을 주니… 결혼 없이 동거로만 지내는 사람들도 많지만, 그게 한국에서 갖는 의무에서부터 자유로우려고 하는게 아니라, 굳이 나라에서 내 가족관계를 인증해줄 필요 없다면서 지내는 경우가 대부분이다. 밀당같은거 못하고, 솔직하고 담백하게 연애하는 거 좋아하는 나에게 덴마크는 좋은 연애의 장이다. 결혼하면 연애가 끝이라고 하는데, 여기서, 그리고 옌스와 함께라면 앞으로 남은 반평생, 혹은 생명연장의 시대에 사니 남은 2/3의 인생동안 계속 알콩달콩 유치하게 잘 살 수 있을 거라는 확신이 든다. I always failed in previous relationships. Well, if I succeeded, I might have been married by now, so no doubt that I didn’t succeed in relationships. Rules were not easy to follow for me. Writing text messages, making phone calls and seeing the person. All these things were regulated by the rules! Sometimes I failed though I followed the rules, and sometimes the other way round. I didn’t know what was the problem. So I decided not to follow the rules, anyway it can fail, why bother? Rules are something I am good at in general, but dating rules? Heck no. I am really bad at that. Because relationship rules are not governed by any authorities, there’s no penalty or fines if one side breaks the rules. Why would anybody follow the rules? And the rules are not engraved on any slate of stone or diamond, and not legislated by any legal entities. Now I am dating my one month in boyfriend. We didn’t follow any rules. He texted me the next day of our first date and later he said, “The rules said that guys should wait 2-3 days before contacting a girl for the next date otherwise the guy would look too desperate. And I was desperate.” He wasn’t desperate but he wanted to have a second date and just followed his feelings for it. I also didn’t play any games of hard-to-get. I was upfront that I was interested in him. After this experience(maybe a little bit too early?) it struck me that it’s about people not about the rules. Every moment is so personal and varies by person to person. Why do we follow any rules instead of building new ones after finding someone who fits us so well? I am really happy that I have met him and would just stick to what we have and build our own things. Proudly I state that I HATE DATING RULES! This a six months old post from a blog that I wanted to continue but failed to do so. 🙂 Since I am freshly starting again in this blog, I want to move two posts from that. One will follow right next to this. 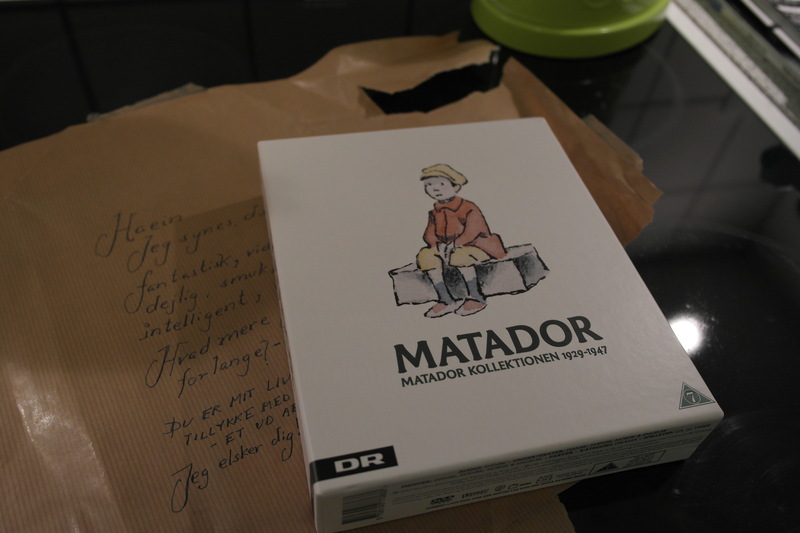 Since I moved to Denmark, just like any other expats living in Denmark, I have been struggling to make Danish friends here and ending up with very limited numbers of expat friends who sometimes leave the country in no time. There are many reasons why people start dating or looking for someone to be together with, and for me, it was that I was lonely and tired of being single. If I find someone, that one can also be my friend. As a woman from Korea in her early/mid-thirties, it was quite difficult to find Korean here and I am not so close-minded to mind someone from different cultures or countries. I don’t mind an interracial relationship. A next step naturally becomes finding non-Korean guys in storkøbenhavn, a.k.a. Greater Copenhagen. I started from expat groups. Why expat groups? Since I didn’t have any idea how to start dating with Danes! Danish people are referred weird sometimes to non-Danish expats. Weird is not necessarily bad. Though there are tons of people loving Denmark and living here, there are other fair share of expats struggling to keep up their life here, especially with making local friends. Danes, as they also agree, are like coconuts. They have a very hard shell around them which is so hard to break in, but once you reach the inside, they have such a soft core, which is basically liquid! (My sort-of-ex-bf, who hated being Danish and wanted to remain as a global or an international citizen, once said, “Are we as shallow as coconut you mean?” HAHAHA. No.) Anyway the point was that they are covered with the hard shells and I didn’t know where to meet them also! As I mentioned above, I once had a sort-of-bf before who hated Denmark and wanted to leave the country ASAP. (He used to live in the US and somehow was temporarily living here.) I said “HAD”, meaning it went bad. Ah… No more expat bf, or sort-of-bf(that was even worse, he was not even a real boyfriend but a maybe boyfriend, kept me being temporary due to his life problems. To be fair, he was not a bad person, was just not in the right phase in his life to meet someone and I met him during that time.) was my decision after the breakup with him because I wanted to know more about Denmark instead of sharing funny or weird knowledge about Denmark or Danes while I’m living in this lovely country. This country must have something good to offer which I haven’t noticed or are hidden from expats’ eyes. Then how could I meet Danes? Colleagues told me that I can meet people in private parties organized by Danes. Many expat blogs or articles said that Danes start their relationships from one-night-stand and they decide to continue it or not in the coming morning after that. However my colleagues said that it’s not so classy and that’s not the way they start relationship, saying that one-night stand ends up being one-night-stand in most of the cases from their experiences. I am not saying those blogs or articles are wrong, but this story was from Danes and it was different! I never had any one-night-stand before and didn’t want to try because it could be dangerous if unlucky. I am very risk-averse, which means that’s not my option. OK. No one-night-stand for me! (Thank goodness, I don’t drink much and I am too old for clubbing, and did clubbing only twice during my entire life, not my thing.) But where are those private parties? Sadly, colleagues said they didn’t have many single friends left and those left were not my match. Sad! I now have a Danish boyfriend, who is incredibly sweet(sweetest in my whole life), caring, artistic, hard-working, maintaining oneself very well, keeping house clean, intelligent, humorous, calm, relaxed, down-to-earth, humble, tall, lean, no-smoking, not-drinking-heavily. He was shy in the beginning for the initial two dates and I thought he was not interested in me at all. It was exactly like what expat bloggers were writing about. Shy Danes, and he admitted that he was a little shy. For me, he may be a Mr. Right and I hope that I could be his Miss right, as he said it feels right with me. I have been lost in Denmark so far, and I hope this dating with Danish boyfriend lead me from being lost to understanding a lot about Denmark territory gradually. And that’s why I started this blog with this post.